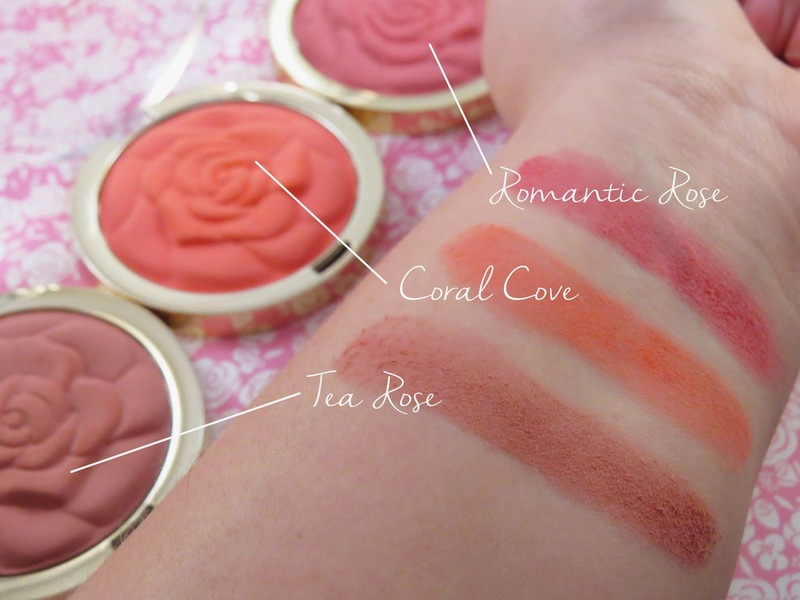 Obviously, the first thing you notice about these blushes is the beautiful rose design. It’s almost too beautiful to use but rest assured that even after multiple uses, the rose design still holds it’s shape. The entire blush collection has a matte finish. The colors in the pan are realistic to what you’ll see on the cheeks. They do tend to come off as caulky and dusty (as seen in the swatches below). You'll just want to be cautious when tapping your brush into the product. 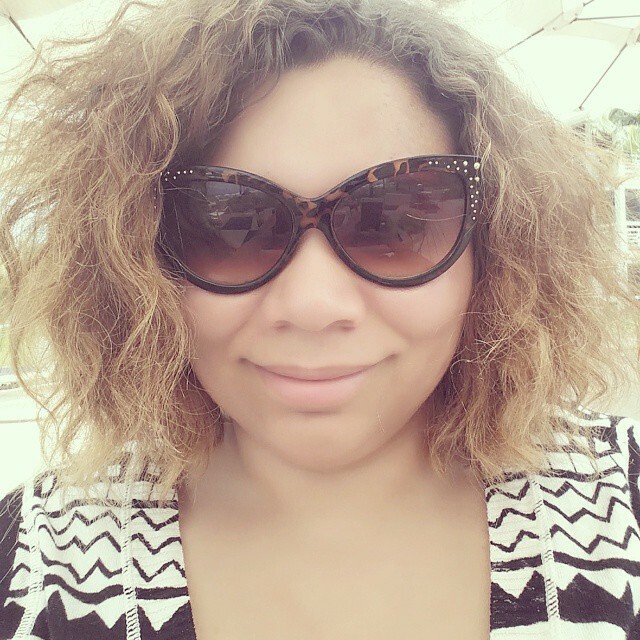 It's very easy to come out looking like a clown. (o'-'o) Unless that's the look you're going for. ;) That's probably my biggest let down of the product but it's not impossible to work with. The packaging is decent. I find that opening the compact can be a little tricky because of the plastic latch but it does keep it secure so I can't complain there. The gold accent increases the visual appeal of the product even more. These are large blushes, so you’re getting a lot of product for the amount you’re spending. The value is very much there if you’re going to be using these often. Overall, the blushes perform well. They last all day. The best way I've found to use these are as layering blushes. Since these are matte, it's a nice base for layering another blush or even a highlight on top. All these colors are very wearable on they're own and can compliment many looks, especially the Tea Rose shade (which is my favorite). 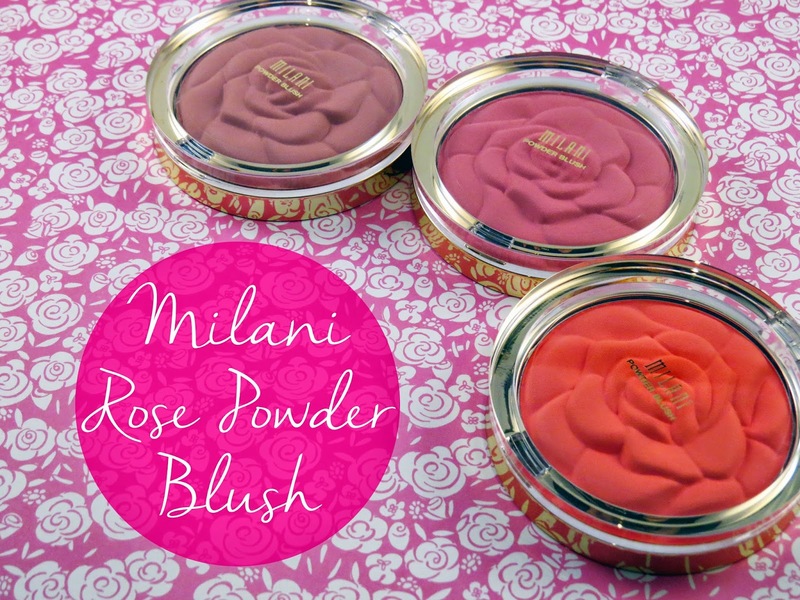 These blushes are only available wherever Milani is sold. I found mine at CVS.